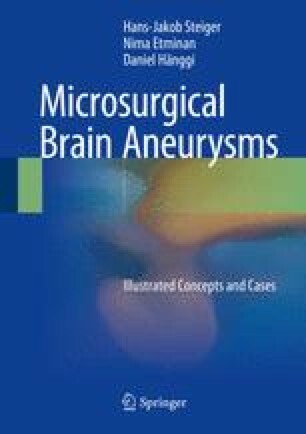 Complex solutions for large, fusiform, and otherwise atypical aneurysms have been favorite topics of publications regarding technical aspects of aneurysm surgery over the past three decades. It is important to consider and communicate expectations and risks clearly before considering a nonstandard approach for a difficult constellation. By definition, the individual types of complex aneurysms are rare, so specific questions are hardly amenable to a formal study. Therefore, the options are most often considered and discussed only when the physician is confronted with a concrete situation. In general, nonstandardized surgical procedures belong to the category of “individualized treatment of a patient without scientifically proven benefit.” Such procedures are acceptable if no other therapy is available.